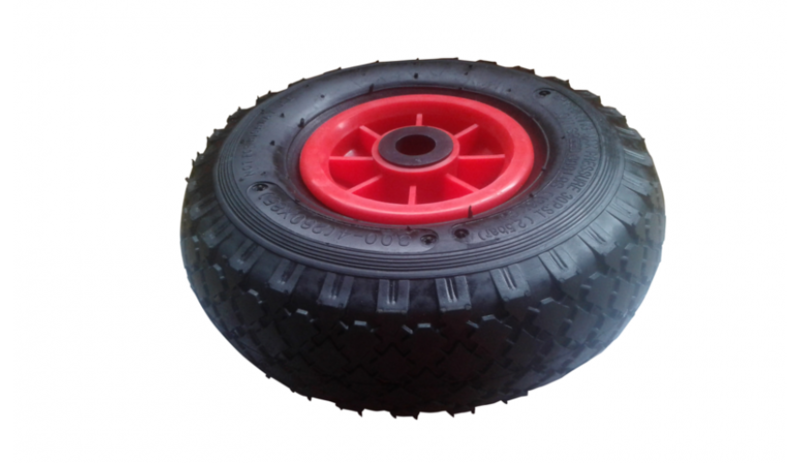 Versatile Lightweight and Rust-Resistant Wheel with Pneumatic Tyres. Suitable for many uses. 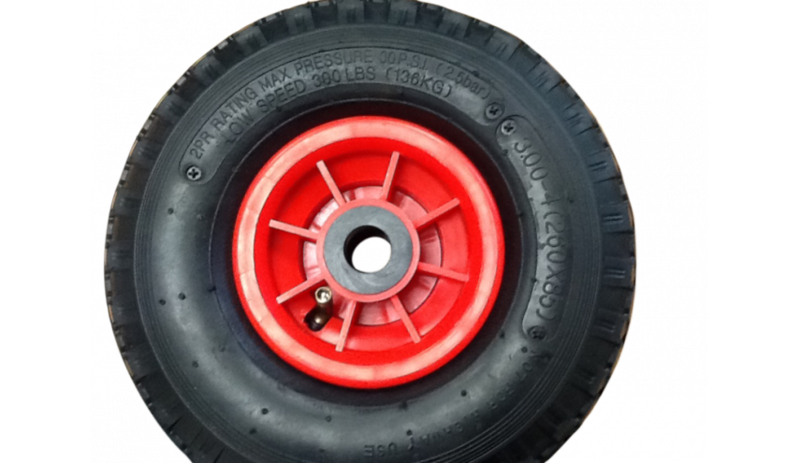 We bought these in as a twin pack with long axle's to create Double Wheels for our Beach Trailer but people were buying these just to get access to the Wheels and Tyres so we are now offering these separately. We also have both the complete Beach Hand Trailer and the Two Wheel Expansion packs with the Longer Aluminium Axles. Tyres are 260mm (ground to top of the tyre) x 85mm width of the tyre. This is as embossed on the tyres. Hub diameter (where the axle goes is 20mm). The diameter without the Tyre and Tube on is 120mm. No Axles or Hubs supplied but if you need Hubs then see our other listings for Twin Packs with Aluminium Hubs. These are great for replacing those old wheelbarrow wheels, for making hand trolley's or karts.